Gurgaon: Real estate giant DLF and Haryana Urban Development Authority (HUDA) has announced commencement of work on the 8.3 km, 16-lane signal free road being built at a cost of Rs.540 crore in the city. The project, under Public-Private Partnership (PPP) was a culmination of years of planning, said an official. “AECOM consultants developed the concept to upgrade this spinal road to international standards. 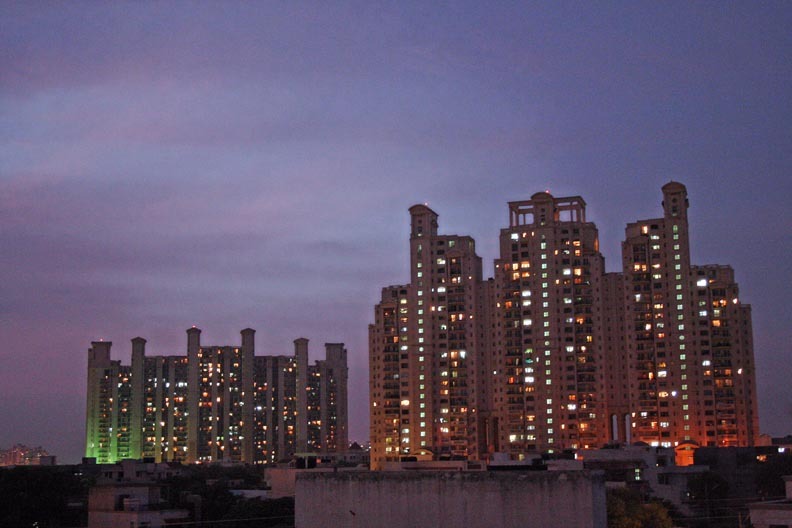 The contract for project execution has been awarded to IL&FS Engineering and Construction Company Ltd., while renowned international consultant Parson Brinckeroff is the project management consultant”, said an official from DLF. The road extends from Gateway Tower on NH-8 to the end of Sector 55-56 and is designed to accommodate higher traffic volume. The corridor would be fully integrated with the Rapid Metro system. “The 16-lane corridor would be signal free, providing free movement for commuters on either side and will feature six underpasses that would reduce noise pollution. There is also a dedicated corridor for sector 25 to sectors 55 and 56, which will mitigate traffic and thereby enable smooth flow of main traffic. The estimated project cost will be Rs.540 crore and completed in three years,” the official added. HUDA had provided land for the project and DLF is providing funds.